Celebrating a New Release by a Fabulous Author! Tuesday, September 29th is the official release day for bestselling author Laurien Berenson, who’s launching #18 in her terrific Melanie Travis mystery series. 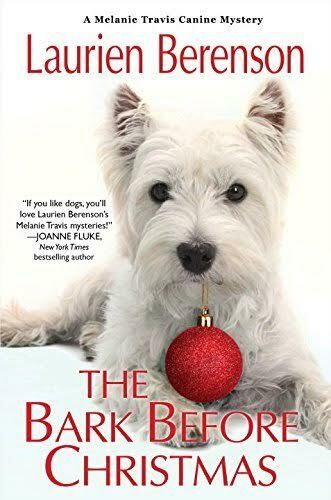 The Bark Before Christmas continues the series with the characters we’ve loved for years. We’re celebrating with her this week, and inviting you to join in the fun. Read on for a chance to win a signed hardbound edition of one of her books. And rumor has it the winner will receive a copy of her latest–how cool is that? Long-time readers of this blog and dog lovers alike are probably already familiar with this great writer. If she’s in the “new to you” category, let’s bring you into the fold with a brief intro, and then jump into a Q&A about the series, and what’s in store for her amateur sleuth Melanie and her Poodles. 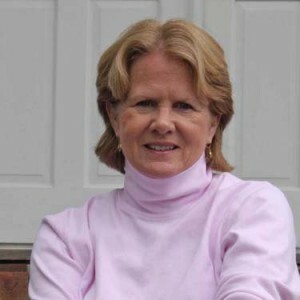 Laurien is an award-winning, top-selling author in mystery and romantic fiction. She’s been nominated for the Agatha Award (recognizing the best in the cozy mystery genre) and the Mystery Readers International’s Macavity Award. She’s earned the Romantic Times Reviewers’ Choice Award and is a four-time winner of the prestigious Maxwell Award, presented by the Dog Writers Association of America. And in the totally unofficial but equally important (to me) category, Laurien’s books were a “first choice” and longstanding favorite of my mother, who loved the entire series and talked about Melanie and Aunt Peg as though they were neighbors. Along a range of say, lighthearted cozy to dark mystery, how would you describe the overall atmosphere of your series? My series is purposely very lighthearted and in fact I think it has become even more so as it’s progressed. I want to create a fictional world that readers can escape into: realistic but at the same time lots of fun. Above all, I want readers to enjoy my books and to look forward to reading about Melanie’s adventures. You’ve been writing about Melanie Travis and family for many years. How has she changed over time? OMG, Melanie’s life has changed tremendously over the course of the series. 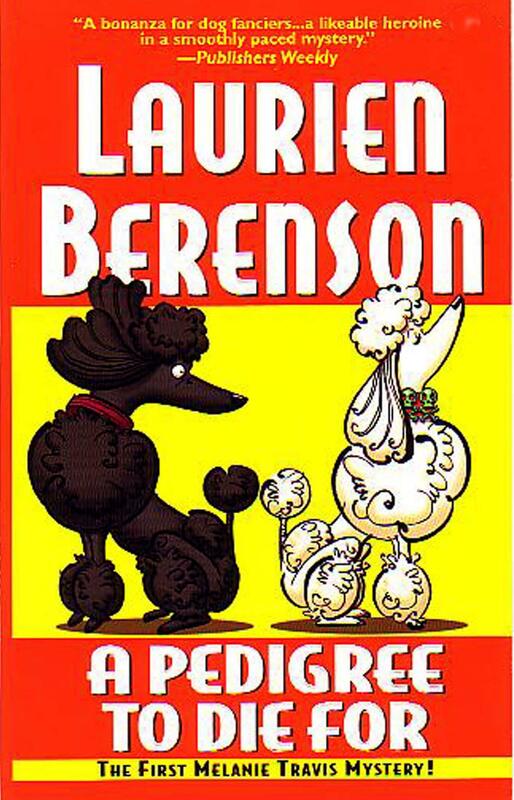 The first book, A Pedigree to Die For, came out in 1995 and there have been 17 more books since. In “fictional years” the series has covered an eight year span. When it started, Melanie was a struggling single mother with a four year old son, no love life, no pets, and a job as a special needs tutor at a local public school. Her ex-husband had disappeared and she had just lost a much needed summer job. Enter her long-estranged Aunt Peg with her passel of Poodles and a mystery she needed Melanie’s help with. Now, in The Bark Before Christmas, Melanie is re-married and has another child and a houseful of Standard Poodles that she and her family breed and show. Her ex-husband has reappeared and is also remarried. Melanie’s brother is married to her best friend. The number of caring people who fill her ever-busy life has grown by leaps and bounds and her world has expanded in many wonderful ways. Actually I have 3 favorites (so far! ): Watchdog (#5), Unleashed (#7), and Gone With The Woof (#16). Other than Melanie, who’s your favorite human character? Favorite canine character? Aunt Peg is my favorite character to plot for. Terry Denunzio is my favorite character to write, His scenes always make me laugh. As for canine characters, I adore Faith and I always will. She is the only character in the series whose age I’ve cheated on (I’ve shaved off a year) because I cannot bear the thought of her growing old. The Bark Before Christmas takes Melanie back to school. She is working as a special needs tutor at prestigous Howard Academy and is tapped at the last minute to manage the school’s Christmas Bazaar. Everything seems to be going well until a valuable dog and Santa Claus both go missing from the Santa Claus and Pets Photo Booth. My books can be bought at all readers’ favorite online and brick-and mortar stores, including Amazon, Barnes & Noble, Books A Million, Kobo, Apple, Target, Walmart, and many independent bookstores. Yes, they are all currently available as ebooks. And all but the last one (The Bark Before Christmas) are available from Audible too. Okay, readers and fans: it’s your turn! Leave a comment here for a chance to win a signed copy of Laurien’s book! If you’ve read the series, let us know if you have a favorite. You’re welcome to ask questions, too! We’ll draw the winner on Friday, October 2nd, so be sure to leave your comment before then. How’s this for fabulous and (nearly) free fun? Come join us on Saturday, September 12th 10 a.m. until 7 p.m. Eastern (that’s 9-6 for us Ozarks folks). You’ll find 25+ mystery writers just waiting to visit with you! And for this one-day only event, every single one of us has a book for you at just 99 cents. (Yup, you read that right–just 99 cents.) Come ask questions, get the backstory about our books and our writing, and find “new to you” authors and mystery series. Even better, we have gifts and giveaways planned exclusively for you! This is the perfect time to get some holiday shopping in, too. No crowds, no hassles–just great books at ridiculously low prices. And did you know you can buy now and schedule your gift to be delivered at a later date? I’ve got my eye on a half-dozen titles already and plan to order them now for a December delivery. Seriously, it doesn’t get much easier than this. I’m co-hosting the event. Drop by between 2-3 p.m. Eastern (that’s 1-2 Central) to meet me and my co-hosts Kathi Daley, Amy Metz, and Amy Vansant. Co-hosts rotate every hour, so come by often for gifts, giveaways, and great prices! This terrific event is the brainchild of the super-talented writer Duncan Whitehead, author of the best-selling and award-winning Gordonston Ladies Dog Walking Club trilogy. For a full list of participating authors and when they’re in the hosts’ chair, just go to the Event Page. Oh, and be sure to click “Going” so you can get all the news and updates as the event progresses. Be sure to drop by when I’m co-hosting. I promise you’ll love it!